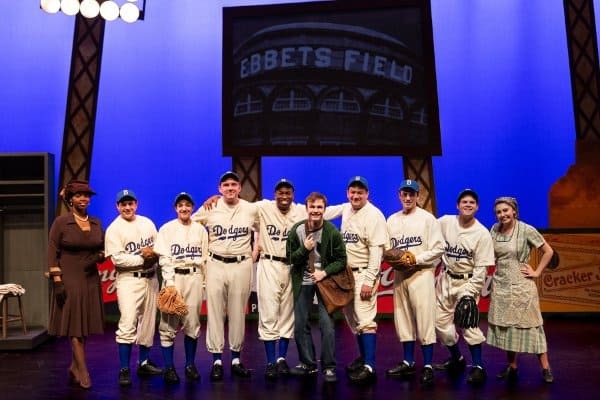 Young Joey Stoshack has the special power to travel through time, so when he’s given an assignment to write a paper about a famous African-American, he chooses Jackie Robinson and heads back to 1947 to meet the man himself. Through his adventures, Joey experiences what it’s like to be African-American during a time of segregation and witnesses first-hand Jackie smashing the color barrier, even when people on his own team are against him. A powerful tale of bravery and integrity. Next week would have been Jackie Robinson’s 100th birthday. We can celebrate with 3 public performances at Main Street Theater. Main Street Theater does an amazing job with family performances… and this one is an especially powerful performance to be enjoyed by kids and adults.